One of the downsides to living in today’s high-tech world is the nonstop access that you have to work-related information. If you want to check your work email, for instance, you can probably just pull out your smartphone and have those messages at your fingertips. While that is nice for convenience, it does make it difficult to break away from the office to focus on other parts of your life. 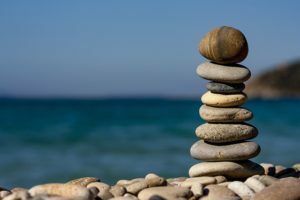 To make sure that you are providing yourself with the best work-life balance possible, consider using some (or all) of the following tips. One of the easiest things you can do to balance out your work and personal lives is to set time limits for yourself with regard to work-related activities. For instance, you could choose to set 6 p.m. as the limit for checking your work messages. Once six o’clock has come and gone, you will set your phone to the side (or, at least, mute your work messages) and do other things. It may take a bit of practice to get into this habit, but it will benefit you greatly in the long run. This can be a tricky point in the modern world, especially if you do any kind of freelance work. It is tempting to work seven days a week in order to maximize your earnings, but that is an unhealthy way to go about your career. Commit yourself to taking at least one full day off per week, if not two. You will likely find that your productivity is actually improved thanks to these days off, as you will get more done during your work hours because you have given yourself a break. Trying to do everything by yourself is a sure way to run yourself into the ground. Don’t fall into that trap. Instead, trust others to help you with your work from time to time, as teamwork is one of the fastest ways to find success. You can still do the important jobs yourself, of course, but delegating out smaller tasks saves both time and money in the end. The way you manage your budget actually has a lot to do with how well you are going to be able to strike a healthy work-life balance. When you don’t stick to your budget, you wind up needing to work more in order to pay off your bills – and that cycle is one that will just continue into the future. To break out of that pattern, reduce your monthly expenditures so you can cut back slightly on working hours. Sometimes in life, you just need to say ‘no’. As a freelance worker, that means turning down a project from time to time. Or, as an hourly or salaried worker, that may mean occasionally standing up to your boss and saying that you don’t have time for a given project. Obviously, you can’t tell your boss no all the time, but you should be able to one in a while if you are valued and trusted employee. Do you struggle with work-life balance? What are some of your best tips for finding a good work-life balance? Here’s another one John… I’ve run my own businesses for the past 21 years. Entrepreneurs have a hard time “turning off” work. My wife (she worked in the business too) had to clearly state some boundaries for work discussions. Otherwise it would dominate our talks – and tended to cause stress. So now we preface any work talk after 5pm with “mind if I mention something about work, or should I wait until tomorrow?” And the other person needs honest permission to say “lets wait”. Just that has made a big difference for us.